It appears as though the drama surrounding Adrian Peterson’s future might unceremoniously be coming to an end. The 2012 NFL MVP chose to end his offseason standoff with the Minnesota Vikings in time to rejoin the team for their Organized Team Activity practice on Tuesday. With the addition of Peterson in their backfield, the Vikings suddenly look like a team that could make a surprise push for a playoff spot in 2015. While playing for the Vikings may not be the ideal situation for Peterson, we’re here to tell you that it was the right move for him to get his career back on track. If Peterson has hopes of ever realizing his dream playing for the Dallas Cowboys – or any other franchise for that matter – his best bet is to play out the season in Minnesota. First things first, let’s look at Peterson’s contract. 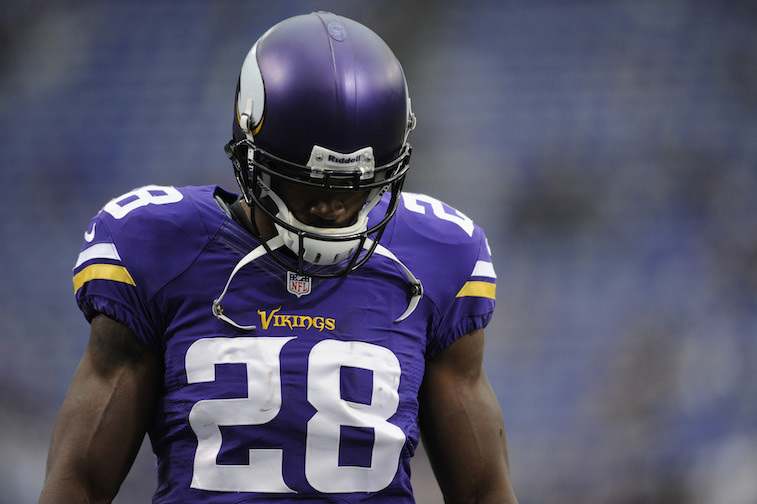 At the conclusion of the 2015 season, the Vikings will no longer owe Peterson any guaranteed money. He will still be under contract for up to two more additional seasons (2016 and 2017), but without any guaranteed money left on the table, the Vikings will be much more likely to trade – or even release – the franchise’s all-time leader in career rushing yards. Next up is the matter of Peterson having little-to-no trade value around the league. For as good as the six-time Pro Bowler has been during his eight-year NFL career, there simply will never be a great deal of interest around the league in a 30-year-old running back with off-field issues. On top of that, Peterson only played in one game during the 2014 season, which raises questions about how productive he will be after the long layoff. 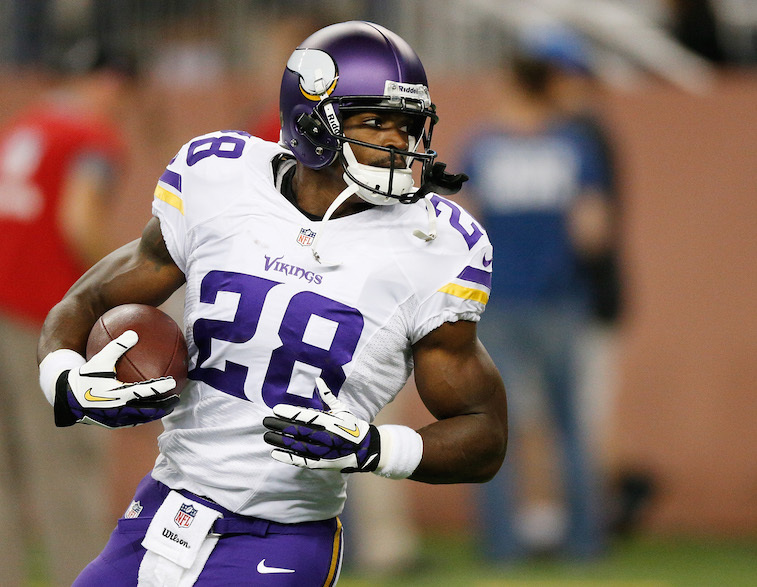 With a strong season in 2015, Peterson could open a couple of very lucrative doors for himself. First of all, he would increase his trade value around the league, which could potentially prompt another team to meet the Vikings’ asking price in a prospective trade. Second, he could inspire the Vikings to give him a hefty contract extension that will keep him in Minnesota for the remainder of his career. Lastly, he could very well end up being exactly what the Vikings need to make a playoff push this season. Nobody really knows what to expect from Adrian Peterson on the field in 2015, but what we do know is this: the two-time NFL rushing champion made the right choice in choosing to end his stalemate with the Minnesota Vikings and report to Organized Team Activities.